(TibetanReview.net, Jul24, 2016) – Defying a Chinese ban and threats of severe punishment, Tibetans in a village in Bathang (Chinese: Batang) County of Sichuan Province paraded a large portrait of Tibet’s exiled spiritual leader, the Dalai Lama, as they proceeded for their annual picnic and horseracing event on Jul 17, reported the Tibetan Service of Radio Free Asia (RFA, Washington) Jul 22. A motorcade carrying a life-size image of the exiled spiritual leader of Tibet led the parade by the residents of Pawo Village, the report said. It added that the motorcycle was colourfully decorated and proceeded with blowing of horns and playing of cymbals to a sacred site on a hill at the foot of a mountain. The annual picnicking festival began with the local residents gathering at the site with holding of ceremonial scarves and offering of prayers for the Dalai Lama’s blessings. 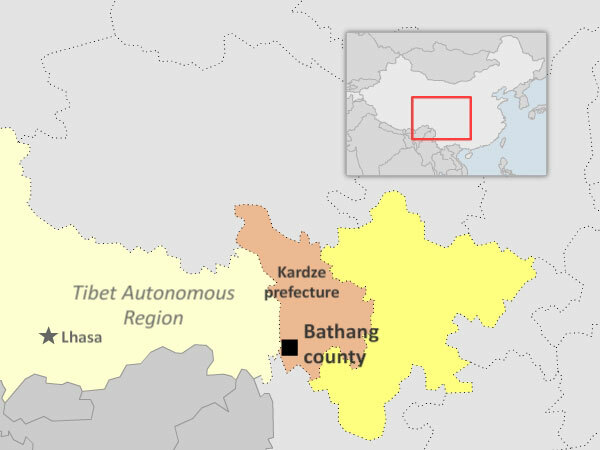 The report cited sources as saying the annual summer picnic of the Powa Village, located about three hours’ drive from the Bathang county seat, draws around 2,000 people each year from nine communities in the surrounding areas. RFA cited its source as saying while Chinese authorities blocked mobile phone and internet connections ahead of this year’s festival, no police restrictions appeared to have been imposed at the festival site itself.